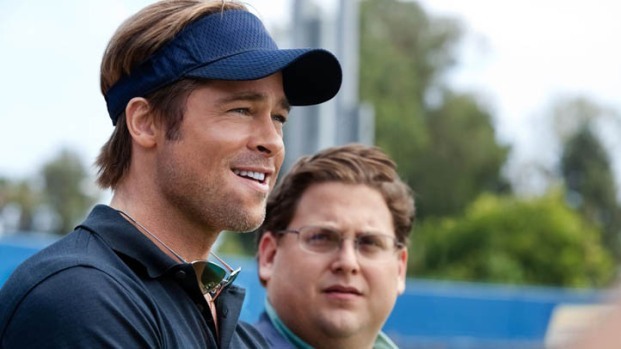 Review: Pitt, Hill Score Big in "Moneyball"
People have argued about The Truth vs The Facts for centuries, but often what's most important is The Point. 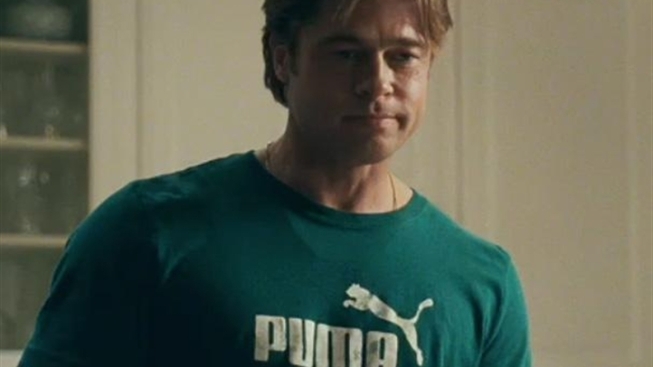 In the case of "Moneyball," the new film based on Michael Lewis' book about general manager Billy Beane and the 2002 Oakland A's, director Bennett Miller and screenwriters Steve Zaillian and Aaron Sorkin take a number of liberties, but by film's end have beautifully illuminated the point of Lewis' book. Though framed in the world of Major League Baseball, "Moneyball" is really about what happens when an intellectual revolution butts up against the old guard, with all of its prejudices and ill-conceived self-delusions. Cutting a figure like a modern-day Don Quixote and Sancho Panza, Brad Pitt and Jonah Hill star as Billy Beane and his right-hand man, Peter Brand, an economics major fresh out of Yale, who introduces his boss to the ideas of Bill James, the man who singlehandedly pioneered a new way of evaluating the game and its players. To this day, the book (and the very name Bill James) elicits scorn from most people over 40 who have worked in the game—former players, scouts, GMs--whole generations of men who insist they know a good player when they see one, who know how to win baseball games, and, most importantly, know that you can't build a team with a computer. But as Mickey Mantle once said, "It's unbelievable how much you don't know about the game you've been playing all your life." The scouts working for Beane in the film are all old men sporting Members Only jackets, hearing aids and peculiar ideas about people: they fear one player lacks confidence because his girlfriend's only a "6," another they laud for having a "good face." It's an absurdly comical, almost unfair caricature. But Miller's depiction of Brand is even more unfair—Brand is based on Paul DePodesta, who lettered in both baseball and football in Harvard, but here is drawn as a morbidly obese myopic with his nosed smushed up against a computer screen. A slice of Hollywood was in Oakland tonight. 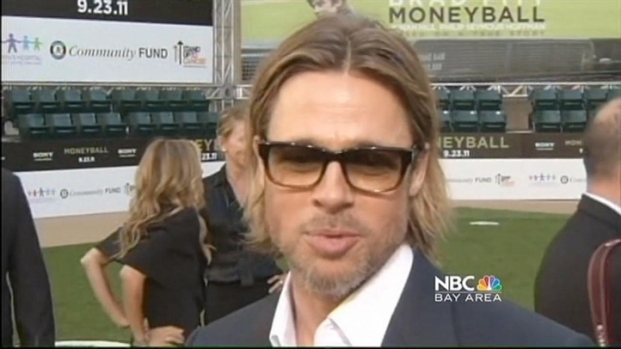 Brad Pitt and other big name actors were at the Paramount Theatre for the premiere of the new movie, "Moneyball." Pitt's take on Beane is a mercurial, smug, conniving, but ultimately charming man (which jibes with most accounts) desperate to rethink his business model in the face of insurmountable odds, while Hill proves once again that he's not just the funny (once) fat kid. Hill makes Brand a sweaty, nervous man who needs the pressure from Beane to understand how deeply he believes in his own ideas. Miller cleverly humanizes the story by inter-cutting Beane's moments of doubt with flashbacks to his youth when a parade of scouts assured him and his parents that he was a star in the making (his career, however, would be over before his 28th birthday). Similarly, Bennett skillfully interweaves old footage from the 2002 season with recreations that drill down the focus onto singular moments, and Bennett mercifully resist overplaying the drama, letting the simple crack of a bat punctuate the most thrilling moment. Ultimately, "Moneyball" is an engaging seminar on management and intellectual evolution masquerading as a great feel-good underdog story. Brad Pitt chats with reporters at the Toronto Film Festival premiere of his baseball movie, "Moneyball." Plus, what does co-star Jonah Hill think about premiering a film alongside Brad Pitt?